Large, bright "daisies" gailardia delight visitors to the garden throughout the season, any area, planted with these plants, becomes festive and attractive. The Latin name of the culture comes from the name of a famous patron of science botany, patron of French origin, his name was Gaillard de Bondaroy, he lived in Europe, in the seventeenth century. In North and South America there are many legends, dedicated to this flower, it is called "the wheel of fire" and "Indian blanket". Indeed, during the flowering prairies and roadsides covered with bright, blazing carpet. Gaylardiya, a symbol of the state of Oklahoma. As horticultural crops are used, basically, hybrids. The plant may be stunted, to 35 cm tall, to 1 m. The first is very popular in landscape design, so as not to fall apart with age. Tall varieties need to be tied to the support or the landing near the plants, which can quite literally "to lean", to maintain a Bush during heavy rain or wind. Gaylardiya blooms from early summer until frost days. Blossoms beautiful, single, odorless. Group plantings can beautify flower beds, curbs, flower beds, the Alpine slide, to plant flowers in a pot or container. The plant looks good on the background of shrubs and vase life. 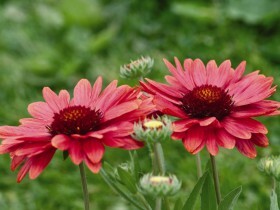 Goes well with the usual daisies, asparagus, Daisy, many other perennials. Culture has won the hearts of gardeners for its ruggedness, resistance to drought, gaylardiya tolerates winter. In one place, the plant is able to live and grow for four years, further, the bushes are transplanted or update. 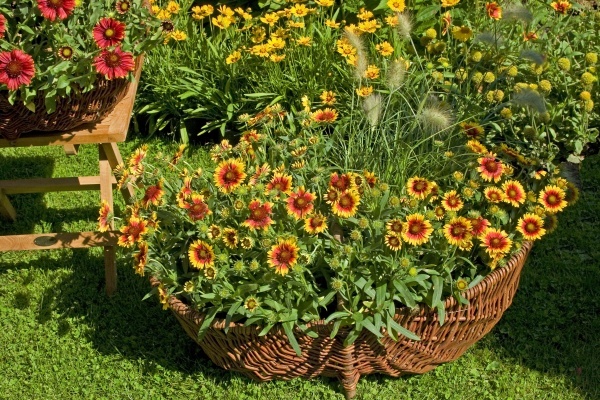 Gaillardia spinous, the sort of “Sunbest yellow”, planted in a large basket. The main two ways of reproduction – the division of adult Bush to pieces, and planting seeds. Matured planting material harvested in the first month of autumn, selecting colors the colors. The seedlings may occur splitting, and new plants will succeed in this process, ugly and pale, they will lose the grade. 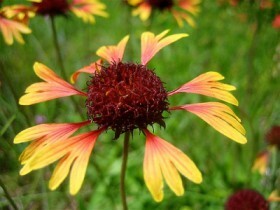 The plant spreads by self-seeding and, the color of flowers may vary from the parent. Planted seed in may, deeply buried, it is better to use shallow boxes. 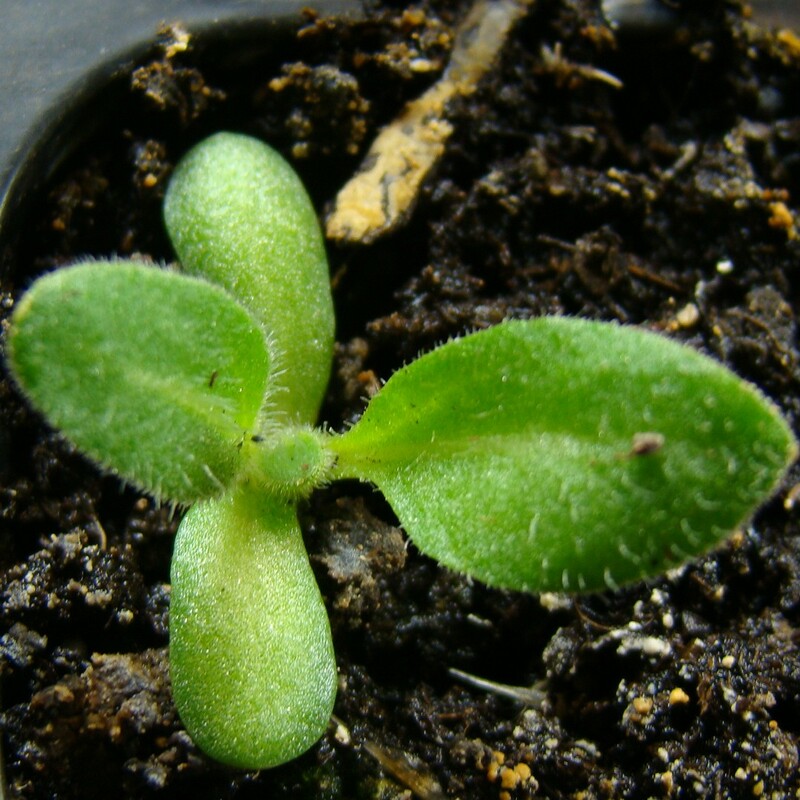 Germination should occur through 12 days when the air temperature in 18 – 25 degrees. Boxes cover with foil or glass to create greenhouse conditions, put in a Sunny place. After the appearance of two or three full leaves culture dive. Grown seedlings are transplanted in open ground in autumn or the next after landing the spring. The distance between plants up to 40 cm. During the period of rooting gailardia well watered, in very hot weather, it needs shading. Look good in the garden group landing three or four copies, blossom culture starting in the second year after planting, with the exception of some varieties. Divide clumps in spring or autumn. Parts should not be too small, such plants will develop very slowly. From a medium-sized Bush, you can get three new, full plants. 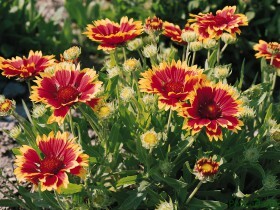 Some experienced gardeners gaillardia propagated by cuttings. 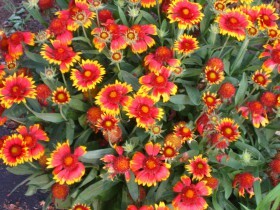 Plot, where you intend to plant gaillardia, should be well lit. The composition of the soil – easy, good drainage will eliminate congestion. To improve the friability and nutrient in soil impose ashes, coarse sand. Culture doesn't like remoisture, moderate watering is recommended. The regularity of the need during the drought, in the rest period frequent and abundant wetting of the soil does not need gaylardiya. The flowering period can be extended artificially, if the time to remove has outlived its time peduncles. Feeding culture is produced three times during the season, in soil soil fertilizers. First time making useful substances is carried out during budding, the second stage is the flowering period, third – a month before the frost. The flower stalks are cut off completely, this will help normal wintering. It is not recommended to feed fresh manure. Care culture is timely cleaning of weeds, loosening the earth near the roots. Flower well winters without shelter, the problem of freezing may occur, if the snow cover is very thin. 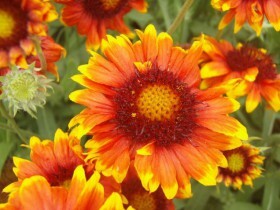 Such trouble did not happen, gaillardia covered with a layer of peat, foliage, needles. 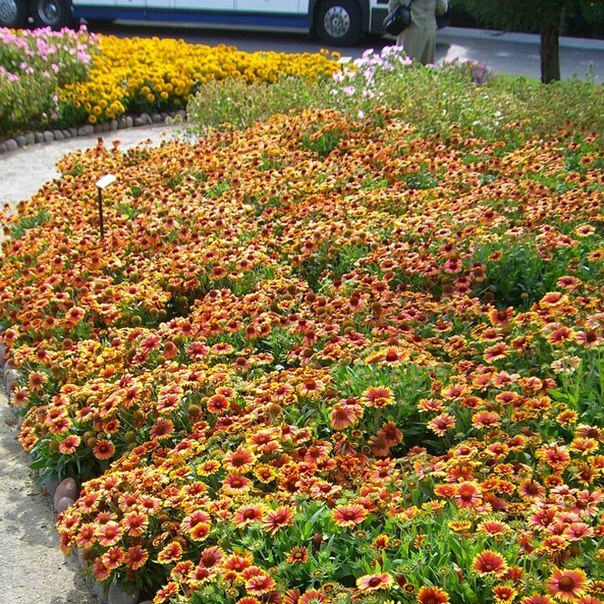 Hybrid varieties, range of shades – from brown-red to orange-yellow tones. Baskets Terry or half Terry, diameter – 10 cm. Origin – from spinous crossing gailardia with types, that grow in the wild prairies of the Western part of the United States of America. Gaylardiya spinous – growing perennial bushes with a monochromatic or two-color baskets. The stems are straight, flowering period from June to September. 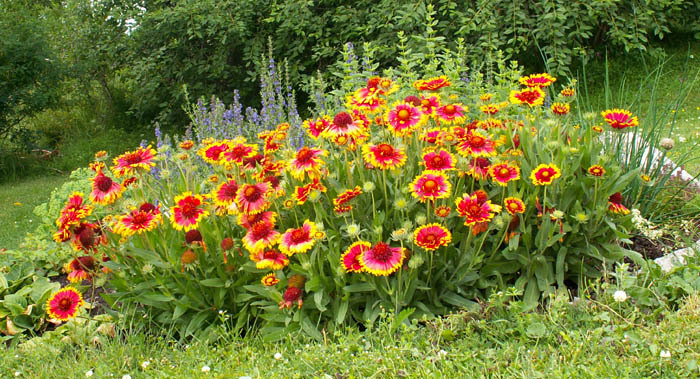 Recommended for planting perennial borders and for cutting. After flowering remains on top of achene-ball, prickly or pubescent. These "bumps" the designers added to floral compositions, using as dried flowers. In the photo: gaylardiya in the garden. "Goblin" is a dwarf cultivar with crimson-and-cream flowers. If you plant the seedlings of these varieties in February, the plants will bloom in the first year. "Yellow plume" – yellow blossoms. "Summers kiss" – unexpected flowers are pink-apricot shade. 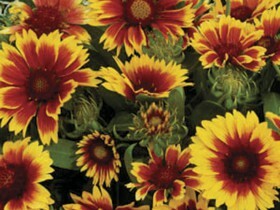 The remoisture soil can cause the infection gaillardia powdery mildew, Botrytis. To deal with these misfortunes, and with numerous pests can and should conventional methods: through the use of various chemical preparations, removal of damaged bushes, partial or fully. Good effect treatment with a solution of manganese. Gaylardiya spinous, the sort of “Kobold”. All content on this site SamDizajner.ru written specifically for Simdesigner, copying 1 in 1 strictly prohibited. Reprint, full or partial rewriting of the article “Colorful gaylardiya: reproduction and cultivation”, possible, only when you specify the full, active link to the source.